Master Cutlery’s high carbon steel prop replica of Michonne’s katana from The Walking Dead is pretty sweet but it’s not a touch on this replica. 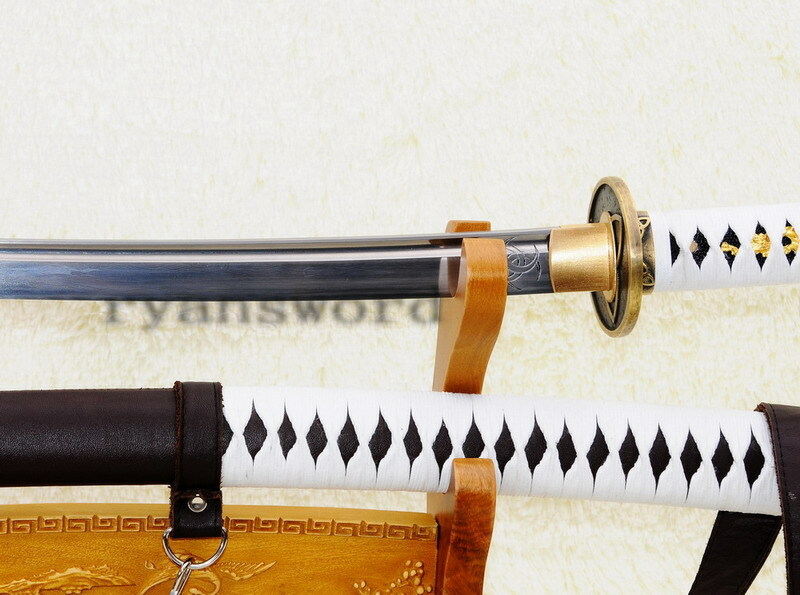 This version is a hand-forged, fully functioning replica of her iconic sword. 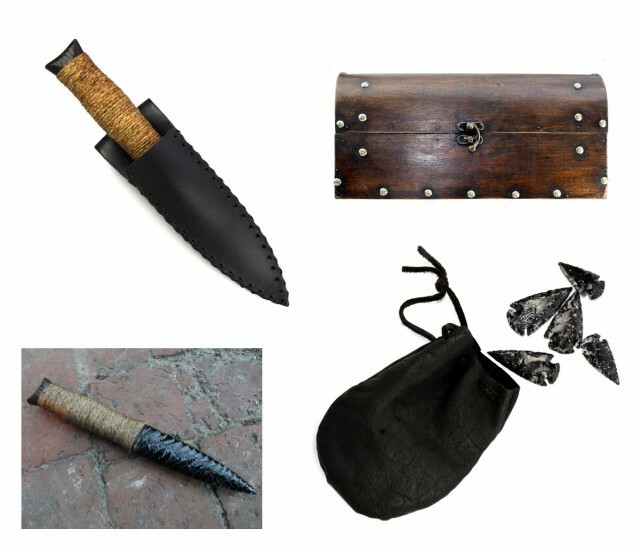 The blade is Damascus steel forged to 1060 steel (folded forged 13 times / 8000 layers). It is also hand sharpened using over 12 steps (different grade grind stones) to the point where it is fully capable of cutting through thick bamboo. The color is also produced with a special oxidation process which is solid and won’t peel off even with use. The guard is made of copper. The handle is wood covered in a real shark skin wrap. The shark skin is then wrapped silk wrap. 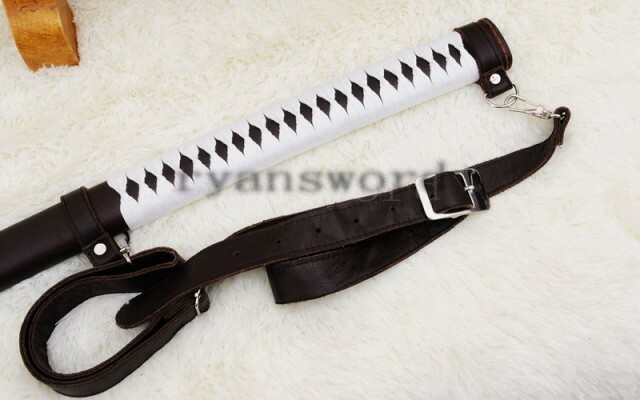 The scabbard is wood and leather. Note: The stand in the images doesn’t come with the sword (as if Michonne carries around a stand!). At a price of only $192.75 (price may change but that’s the price as I write this), this is an absolute bargain for such a high quality collectible. 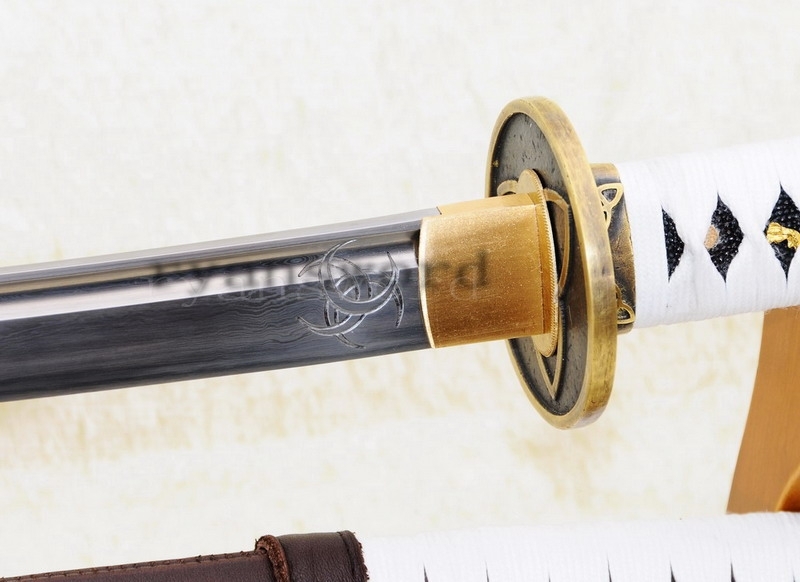 This is seriously one of if not the best replica of Michonne’s The Walking Dead sword as seen on TV. This is United Cutlery’s full scale prop replica of the Mirkwood double-bladed polearm from Peter Jackson’s The Hobbit: The Desolation of Smaug. In the film this weapon is used by the Mirkwood Guard (also referred to as the Woodland Guard) who are the soldiers that protect the Elven King and the northern lands of the Woodland Realm. 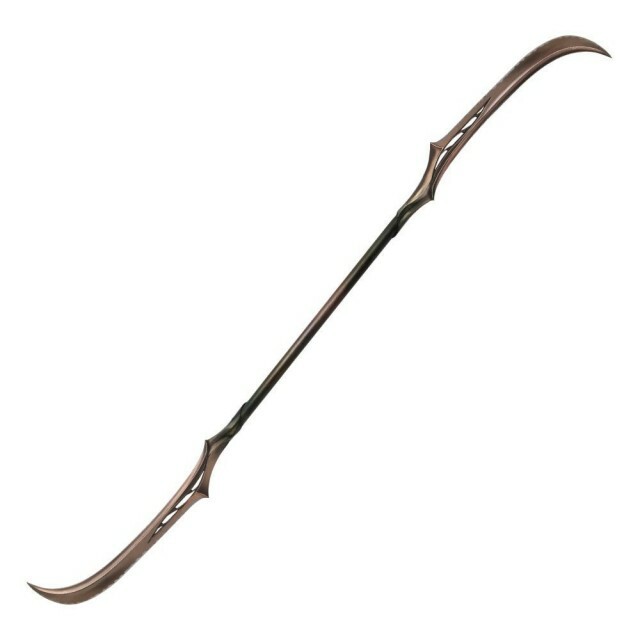 Among their weapons is the polearm, crafted with a greenwood shaft and two curved Elven blades forged of bronzed steel with a Silvan steel edge. You can buy one of these for yourself via United Cutlery’s Amazon Store . You can also find them on Ebay and over at Entertainment Earth (who offer free shipping if you’re in the USA). Check out this rare prop replica of the Battlestar Galactica season one standard-issue Colonial sidearm that’s gone up for auction on Ebay. That’s the Syfy series and not the original 1970’s/80’s BSG. 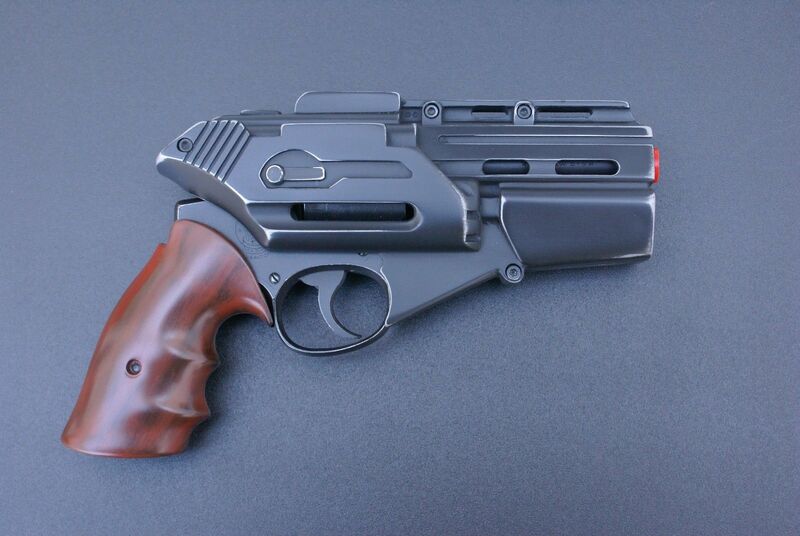 This Season 1 GALACTICA BLASTER is a highly-detailed, expertly-crafted prop replica. It is brand new, straight from the shop, and has not been displayed or previously owned. This is not a typical solid prop. It is cast in several separate components, which allow an unmatched level of detail. The body of the blaster is a two-part clamshell which bolts over a solid resin replica revolver (exactly as it was done for the show). The use of aluminum-filled resin allows for extremely realistic weathering. The grip panels are separate and bolt on just like the originals. The woodgrain on the grips is cast into the resin for a durable and authentic appearance. The side switches are cast metal for added durability. The piece is cast in aluminum-filled urethane resin. This prop is not based on an Airsoft and has NO MOVING PARTS. The entire unit weighs just under a pound. If you think this looks similar to the Blade Runner blaster you’d be right. The standard-issue Colonial sidearm was based on the Blade Runner blaster. 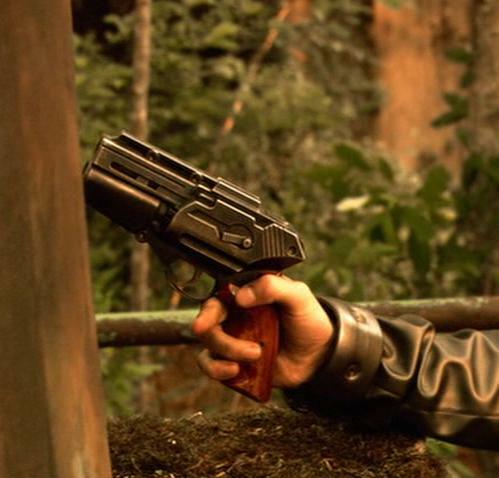 You can learn more about the weapon on the BSG Wiki and on the IMFDB. The auction is currently up to $175 and only has one day to go. Head to Ebay if you want a shot at owning this for yourself. This is a life-size replica of the retractable switchblade gauntlet worn by the main character Edward Kenway in the Assassin’s Creed IV: Black Flag video game. 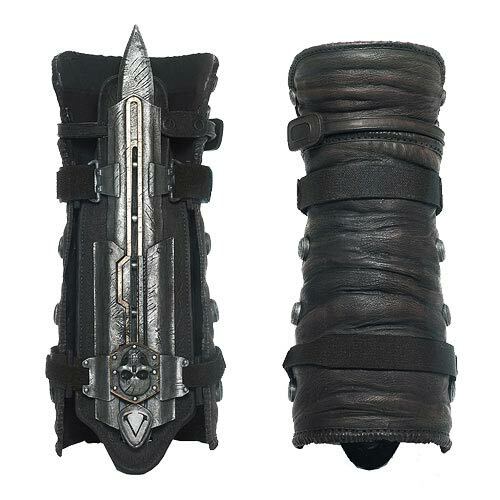 Wearable, ideal as an Assassin’s Creed role play accessory – the blade section attaches to the bottom of the forearm with velcro straps, and the gauntlet attaches to the top of the forearm with a strap and buckle. Manufactured by McFarlane Toys this replica is nicely priced at a RRP of just $33.99 and will ship June 2014. 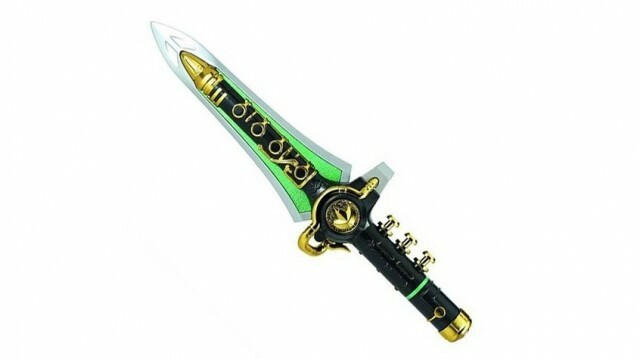 Whether or not you’re a Mighty Morphin Power Rangers fan this Legacy replica of the Green Ranger’s Dragon Dagger is very, very cool. Note that a number of retailers are advertising this as a weapon replica that also features lights. This is incorrect. It has no lights. It plays sounds only. You can find it for sale on Entertainment Earth, via Ebay and also on Amazon . Prices vary. 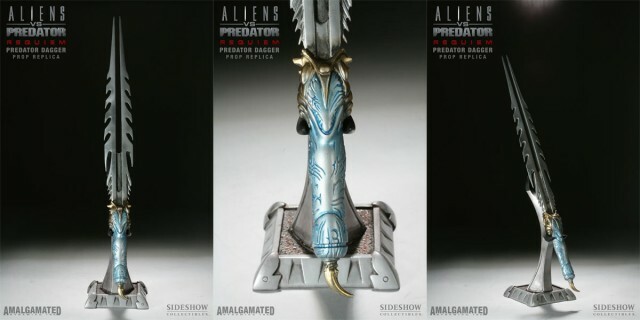 This is the limited edition Predator Dagger prop replica based on the dagger featured in Aliens vs Predator: Requiem. Only 500 of these were made worldwide by Sideshow Collectibles and all are now sold out. 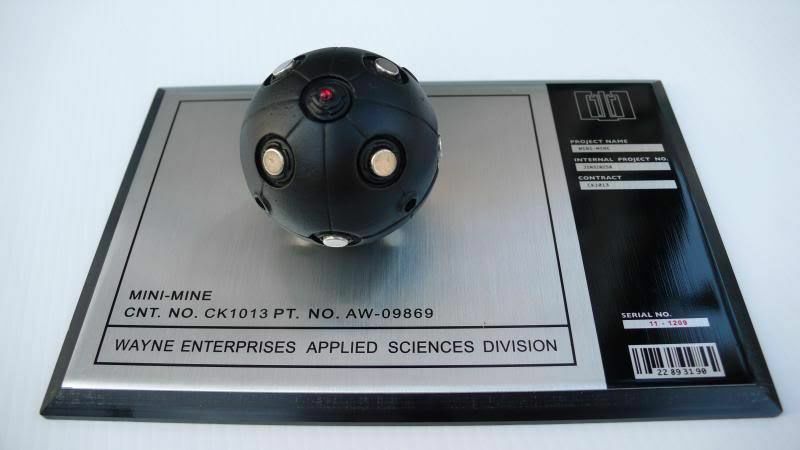 Though rare, a brand new and never opened one of these has come up for sale via auction on Ebay (the seller purchased two of them and never opened the second). This is a real opportunity for a collector! 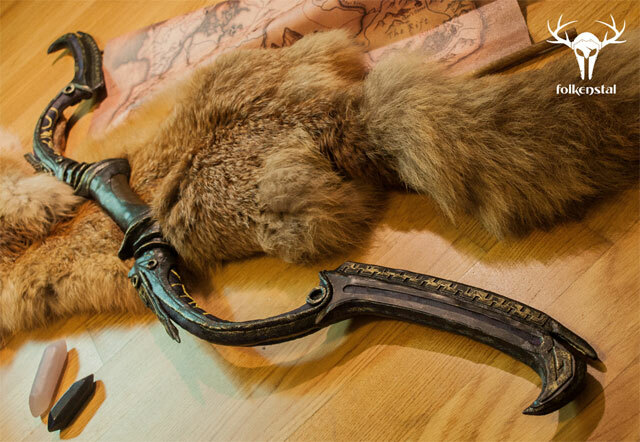 Folkenstal is a dedicated Skyrim replica weapon propmaster in Switzerland, Europe. Their weapons are hand sculpted, cast from polyurethane and resin and are usually mixed with metal powder to get a metallic effect. All are perfectly suitable for display or cosplay. The one you see above is the Dwarven Black Bow of Fate. It sells for $349. View the product page here. You can see some of the others below.